So far DiandreHK has created 4 blog entries. CASA of Jefferson and Gilpin Counties (CASA Jeffco/Gilpin) serves the most vulnerable children through awareness, advocacy, and support. With the dedication of hundreds of volunteers throughout Jefferson and Gilpin counties in Colorado, we serve the 1st Judicial District, which ranks 5th in the state for child abuse and neglect cases. Children are our future and while they are our most valuable resource, they are also the most vulnerable. 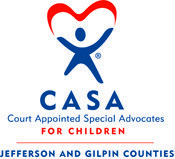 One of nearly 1,000 CASA organizations across the country, CASA Jeffco/Gilpin is a 501 (c)(3) nonprofit organization that relies on donations. While we do assist the courts, we are not a government organization. Founded in 2000 with our first volunteer trained in 2001, CASA Jeffco/Gilpin has provided volunteer advocates for more than 3,200 abused and neglected children. We would love for you to be a part of our table for a small $25 donation! Please reach out to Lisa or Diandre to sign up and please share this event with others! 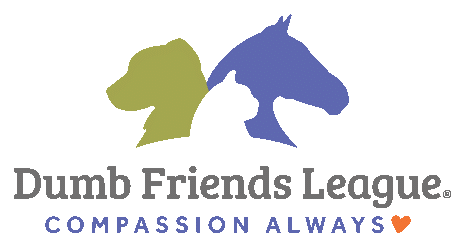 When our organization was founded in 1910, it was named after a London, England, animal welfare group called “Our Dumb Friends League.” In those days, the term “dumb” was widely used to refer to animals because they lacked the power of human speech. 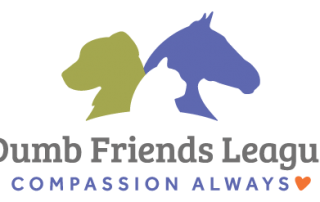 Today, the Dumb Friends League, headquartered in Denver, is the largest community-based animal welfare organization in the Rocky Mountain region—providing a strong, compassionate and steadfast voice for those who cannot speak for themselves. We rely on individuals to bring us animals they can no longer care for, entrusting us with their pets. 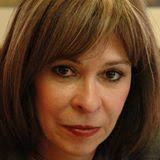 We rely on neighbors to report abuse and neglect. We rely on the Colorado Veterinary Medical Association in our partnership to encourage lifelong veterinary care for pets. We rely on transfer and placement partners to ensure as many animals as possible find homes. We rely on the Metro Denver Animal Welfare Alliance and the Colorado Federation of Animal Welfare Agencies to stand beside us as we tackle animal welfare issues throughout our region. We rely on all members of our community to consider adoption when choosing a pet. And we rely on the generosity of our board, donors, adopters and volunteers as they help support an organization that provides continuity, strength and, above all, compassion for our community. Over the years, we have been able to significantly reduce the number of homeless pets, find homes for more pets, and support an overall better quality of life for animals in the community. 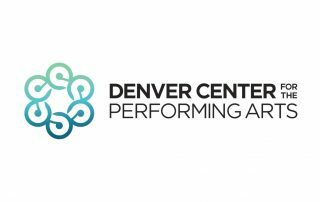 Throughout our history, the benevolent Denver metro community and beyond has helped sustain the organization so we can fulfill our mission. We are eternally grateful for the community’s trust in the Dumb Friends League and its support of the animals we serve. We are a leading adoption organization. We are a pre-emptive care organization. We have no set time limit for how long a pet can remain in our care. We use veterinary services, behavior programs, foster programs, special-needs adoption programs, transfer programs and placement partners to give as many pets as possible a second chance at a happy life in a new home. We are a no-suffering organization. We strive to do the right thing for every animal we receive, always keeping in mind the needs of the animal and the animal’s quality of life. In some cases, relieving an animal’s suffering may lead to euthanasia. At no time do we take the ending of a pet’s life lightly. Our staff devotes itself, just as a loving owner or veterinarian would, to treating each pet as a unique living being that deserves respect, care and love. We do not euthanize healthy animals, nor do we use euthanasia as a form of population control. As long as an animal is not suffering, we will give it the time it takes to find a new, loving home. We are a preventive organization. We know that to reduce the number of homeless pets entering our doors, we must focus on preventive measures. In our shelters, we microchip and spay/neuter the pets in our care. In the community, we offer subsidized spay/neuter services to pets in underserved areas throughout metro Denver, teach compassion and understanding of animals through our humane education programs, and work in conjunction with law enforcement to stop neglect and mistreatment of animals and educate pet owners on responsible pet ownership. We are a collaborative organization. To better reach and impact our community, the Dumb Friends League is a proud partner of the Metro Denver Animal Welfare Alliance (MDAWA), a coalition of public and private shelters, rescue groups and other animal-service providers committed to saving pets and fostering responsible pet ownership and regular veterinary care. By coming together as an alliance, we are able to place as many shelter and rescue animals as possible into loving homes within the far-reaching areas we serve. Colorado’s high country is where the sun shines bright and you’re free to laugh and play the day away. However, as all winter die-hards know, it’s après ski and memorable nights with friends and family in the lodge that make for a special vacation. Check out these suggested combinations for your next Colorado adventure. Steamboat Springs radiates with Western hospitality and charm. You’ll be hard-pressed to find a more friendly and powder-obsessed town, ideal for living life at a slower pace. Sip: Join locals downtown at the Cantina for fresh-squeezed margaritas stirred up from more than 40 varieties of tequila. If you miss the traditional 4–6pm happy hour, double-back at 9 for the late-night happy hour on weekends. Fun fact: The building’s bones are constructed from nearby Yampa River’s river cobble rock, Emerald Mountain sandstone and old-growth forest wood. Stay: Featuring fireplace-equipped cabins with private hot tubs, The Home Ranch prides itself on its upscale Western flare and culinary excellence. Perhaps the biggest draw is access to tubing hills, 30 km of cross-country trails, backcountry skiing or snowshoeing and sleigh rides with the ranch’s VIP guests, the horses. If you’d rather ski at nearby Steamboat, the ranch offers a shuttle to and from the base each day (brownbag lunch included!). Breckenridge’s identity has transformed since the boomtown mining days of the 1800s. What’s remained are historic mementos refurbished into hotels, warming huts and eateries for spirited winter enthusiasts. Play: At the base of Breckenridge Resort, the Breckenridge Nordic Center offers snowshoe trails that lead to three historic cabins functioning as modest warming huts. Pack a lunch and hop on the Beaver Meadows Trail to Josie’s Cabin, a historic miner’s cabin named after an 1800s woman who lived in the structure with her husband and four children. Enjoy your meal in the cabin and take in the sweeping views of Cucumber Gulch Wildlife Preserve. Sip: Snag a spot at the Gold Pan Saloon on Main Street, which — according to legend — got its start as Long’s Saloon in 1861. Just a tent structure in its early days, the permanent Gold Pan building was built in 1879 and has been slinging stiff drinks ever since. Choose from a variety of bloody marys ranging from mild to super spicy, or stop by to recap your day on the slopes over daily specials and happy hour throughout the week. Stay: Two blocks off Main Street and just a hop, skip and jump from the gondola is the cherished Fireside Inn Bed & Breakfast. This humble inn located in Breckenridge’s historic district offers traditional bed-and-breakfast-style rooms or dormitory accommodations, meaning it’s one of the most affordable places to stay in town. Vail knows how to go big or go home. As one of the most well-known resorts in the country, high-end living is embraced here with vigor. Play: Experience the sense of wonderment that Sun Down Bowl beholds. As you trek your way into the bowl, towering inclines engulf and astound. Skiers, who from afar look like mere ants, funnel down steep pitches to a dipsy-doodle cat track that ends at the lift. The east-facing side of the bowl (while more difficult) is the ultimate grade of steepness, and there’s more than enough elbow room to play, fall and test your limits. Sip: Back-to-basics deliciousness is the theme at Mountain Standard, where dishes like Colorado lamb sirloin and Rocky Mountain trout are prepared over an open-wood fire to enhance natural flavors. For après ski, sip on The Charter: Rittenhouse rye, Dolin dry vermouth, grilled pineapple, cinnamon and vanilla. Stay: Setting the bar high, the luxurious European-inspired Four Seasons features a ski concierge that stuffs guests with fresh muffins and coffee while their skis are tuned and boots are warmed. Fireplaces in every room set a relaxing mood for resting those mogul-worn legs in the afternoon. Guests are also privy to a large and steamy outdoor pool, sauna and five-star spa. Durangoans are the ultimate outdoor opportunists. As a result, the town’s laid-back vibe makes visiting here a relaxing and gratifying experience that will make you wish you lived here year-round. Play: Locals will use any excuse to play hooky on a bluebird day and you’ll see why once you make your own tracks at Purgatory, just 25 miles north of Durango. Known for an ideal balance between beginner, intermediate and expert runs, the southwestern San Juan Mountains framing the terrain are breathtakingly jagged and crisp. The best views are from Dante’s Backside Bistro under the Grizzly Left. Enjoy lunch and try to identify a few of Colorado’s 58 fourteeners in the not-so-far distance. Sip: A Colorado vacation isn’t quite complete without taste testing a new brew. Ska Brewing is known for their quirky, comic-inspired branding and ability to produce new takes on staple beers, like the light and refreshing Mexican Logger. After touring the brewery, go next door to The Container for more beers and food truck-style fare. Thursdays feature live music and $3 pints. The town of Frisco is perfectly situated between some of Colorado’s most popular ski resorts: Breckenridge, Copper Mountain, Keystone and locals’ favorite Arapahoe Basin. Play: A good option for those indecisive families out there is Frisco Adventure Park. Kids can spend the day on the tubing hill, or skiing and riding the bunny hill. Others may be inclined to explore the Nordic center’s wide-open cross-country and snowshoeing trails. Frisco’s historic downtown is only a short drive or shuttle stop away from the adventure park, ideal for those wanting to take it easy and stroll along Main Street. Sip: Good ol’ Southern fare is hard to come by in the Rockies, but The Lost Cajun on Main Street is surprisingly the most happening restaurant in town. Swap stories from the tubing hill over freshly fried and powdered beignets paired with warm cafe au laits. If you don’t have the acquired taste for chicory coffee, try Louisiana’s Abita beers instead. Stay: In Frisco, condominiums are the way to go. Rental companies will help you with reservations (there are plenty to choose from), but Mt. Victoria Lodge’s condos have all the amenities of home and are just one block off Main Street. Nearby Safeway and Whole Foods grocery stores help keep the kitchen cabinets stocked for family meals.